In between theater / soundtrack work and recording his next CD, Greg is performing his own brand of "whirled music" throughout the Midwestern United States and beyond -- solo shows, duos with percussion, and rare "Telluric Currents" performances with a full band that includes Hindustani vocal and tabla. See the gigs page for upcoming events. 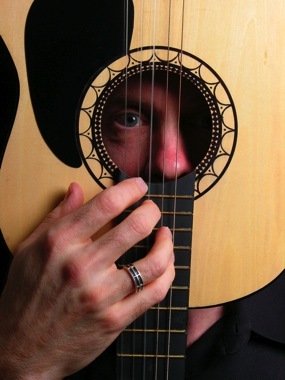 Greg’s instructional book/CDs, World Guitar and Guitar Explorer, explore the music traditions of the world with groundbreaking approaches on the guitar. Both are available from Hal Leonard Publishing. See the publications page for more of his music books. The CDs It Plays Me, Telluric Currents, and Atifacts are available from New Folk Records and iTunes. See the recordings page for music and links!